A Palm Beach County native, Courtney believes that giving back philanthropically to her home is part of her duty. Courtney’s roots are here; it is the place that shaped her and is where she has raised her family. With 12 years of service to Junior League, she has spearheaded several committees directly working with foster care children and young adults. 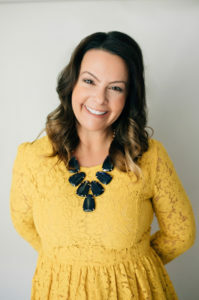 Some of her favorite placements include the Nelle Smith Residence, mentoring female foster children, and the 75th Anniversary Makeover at the Vita Nova Villages, where she raised funds for and remodeled the Vita Nova Villages, home to many young adults that have aged out of the foster care system. Courtney has held various leadership roles, including: Co-Chair of the inaugural Deck the Palms Fundraiser – 2 years, Co-Chair Arrangements – 2 years, Community VP, Nominating Committee, Nominating Chair, Co-Chair, 75th Year Renovation at Vita Nova, Co-chair Deck the Palms and President-Elect. She was nominated for the Junior League of Boca Raton’s Woman Volunteer of the Year award in 2017. Courtney’s past memberships include: Florida Association of Women Lawyers, Young Lawyers Division of the Palm Beach County Bar Association, Lawyers for Literacy Committee, the PI and Wrongful Death Committee, American Bar Association, Florida Justice Association, Nova Southeastern University Alumni Association, and the Legal Aid Society of Palm Beach County. She was the recipient of the Gold Award for 100+ pro bono hours of legal service on behalf of The Legal Aid Society in 2017. As a Personal Injury attorney for The Stafford Firm, Courtney also takes on casework pro bono serving as a Guardian Ad Litem for several foster care children and children with disabilities. Courtney completed her undergraduate degree at Florida State University with a major in English and a minor in British Studies. She received her Juris Doctorate from Nova Southeastern University.